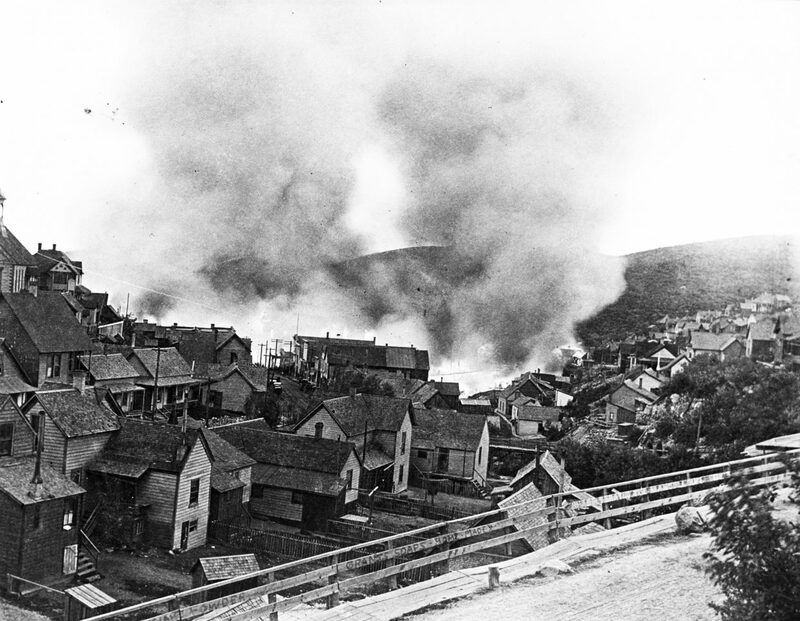 Flames ravaged the town on June 19, 1898, as seen here from Hillside Avenue and upper Main Street. 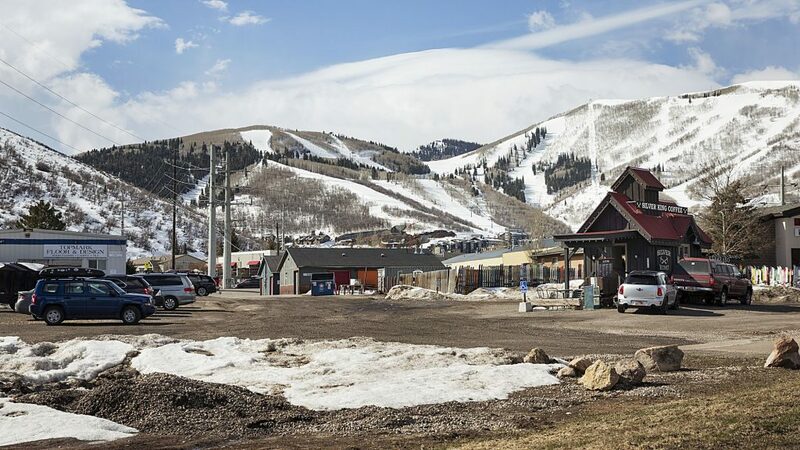 As most people who live in Park City know, there was the Great Fire in June 1898 that destroyed most of Main Street, Swede Alley and Park Avenue. Businesses and homes were completely ruined, and many people were left homeless. The less-often heard narrative, however, is about recovery. How did people recover from the fire? It wasn’t easy. The loss of homes and businesses left many destitute. People had to decide whether to rebuild or pack up and leave. Most didn’t have insurance, which also added to the financial woes. 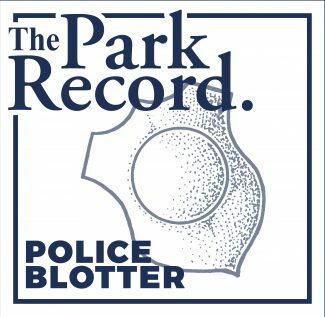 The Park Record kept a list that was updated every few issues to let the public know who was rebuilding or had already rebuilt their homes and businesses. Many business owners felt they had no choice but to rebuild, as their businesses were their livelihood. After the fire, women in town fed hot coffee and sandwiches to the firemen and homeless. The women continued to sew, cook and attend to the needs of the homeless as the weeks progressed. The Women’s Relief Committee collected donations of goods such as money, sugar, flour, bacon, coffee, tea, oats, rice, beans, cheese and clothing including children’s shoes. 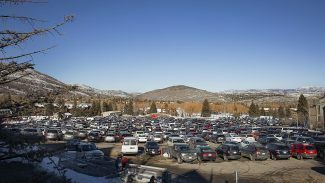 Contributions were sent in from other communities, including Salt Lake City and Evanston, Wyoming. The Silver King Mine Company also donated $2,000 to the sufferers. Milkmen moved their wagons from place to place, giving away milk for free to anyone who was thirsty. Ads were placed in The Park Record to find lost goods and to ask the public to pay down debts owed to people who lost everything in the fire. The Park Record, having lost all of its business information to the flames, asked for the names of those who had had subscriptions so that the paper could be delivered to them. Building owners were encouraged to remove any debris from the sidewalks, so townspeople could move through town unobstructed. Businesses that survived the fire also lent a hand to the unfortunate. Welsh, Driscoll and Buck — the only general merchandise store left in town — advertised paints, oils, window glass and building materials. The store also kept its prices low. 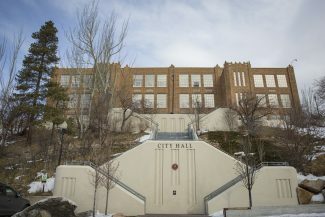 The Palace Drugstore in Salt Lake City delivered medication to people in Park City for free until Park City’s drugstores reopened. Frank Andrews’ furniture store advertised new shipments of furniture for newly constructed buildings, as well as tools from hammers and saws to nails and screws. The Union Pacific Railroad agreed to carry relief supplies for free. Everyone was directly affected by the Great Fire of 1898, but Parkites rallied. It took the entire city to pull together to help one another and get through the aftermath of the disaster. 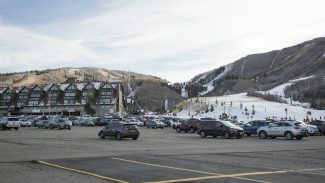 The town recovered in just 18 months.